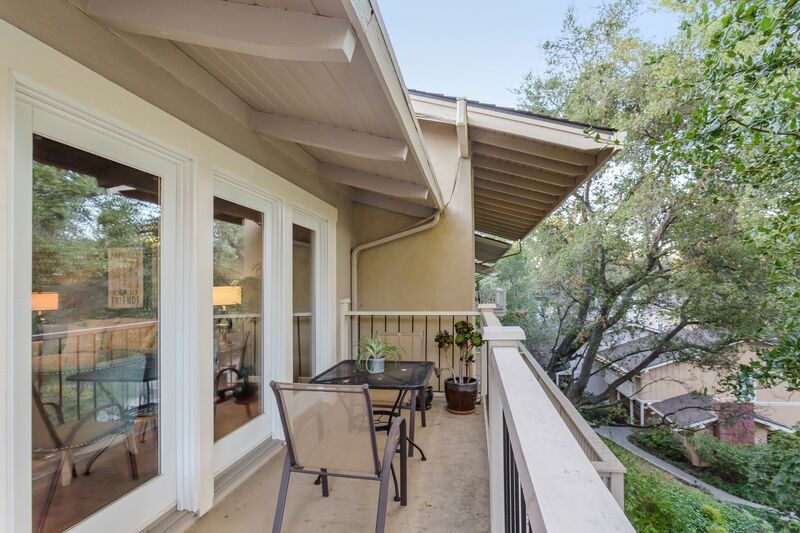 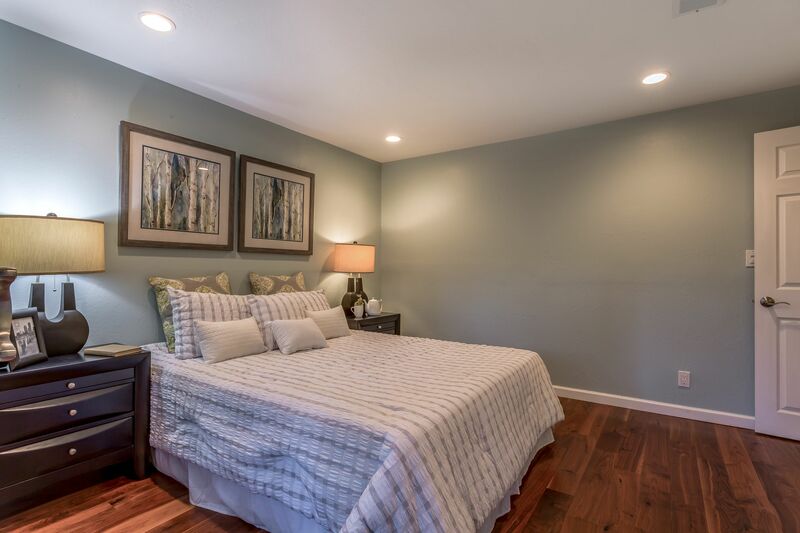 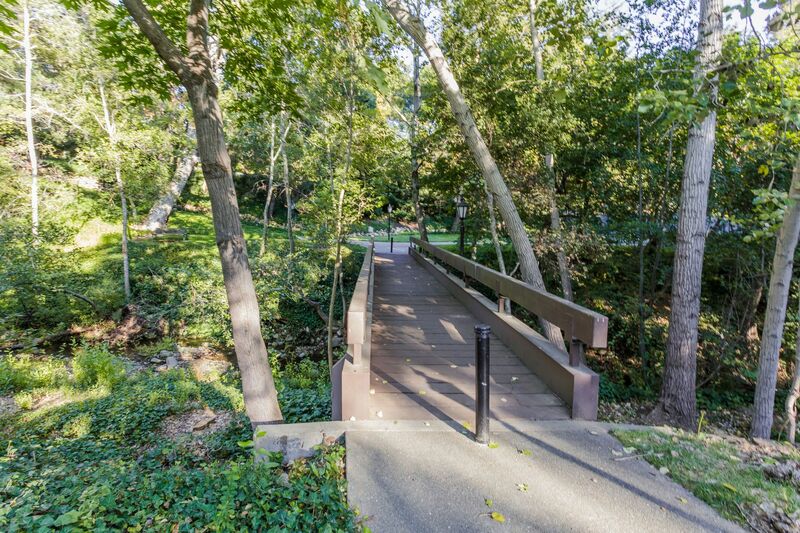 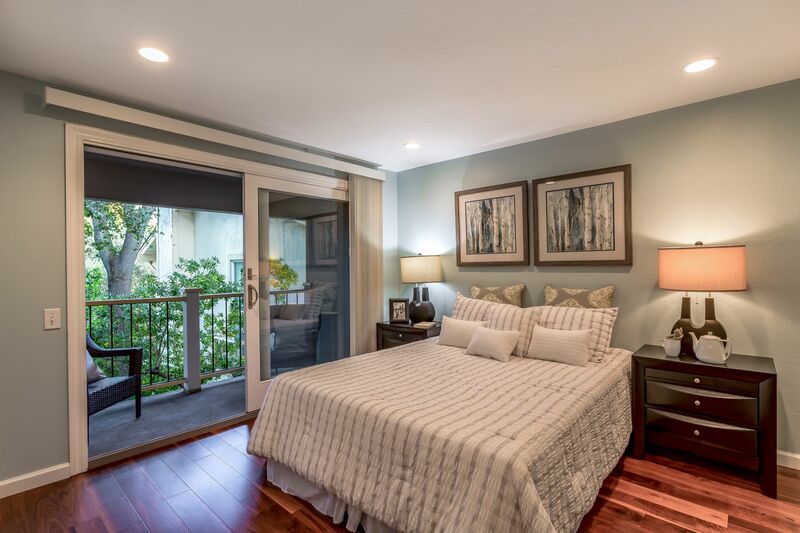 Private End Unit Townhome with Forest Views yet Steps to Downtown Saratoga through a Private Path within the Community. 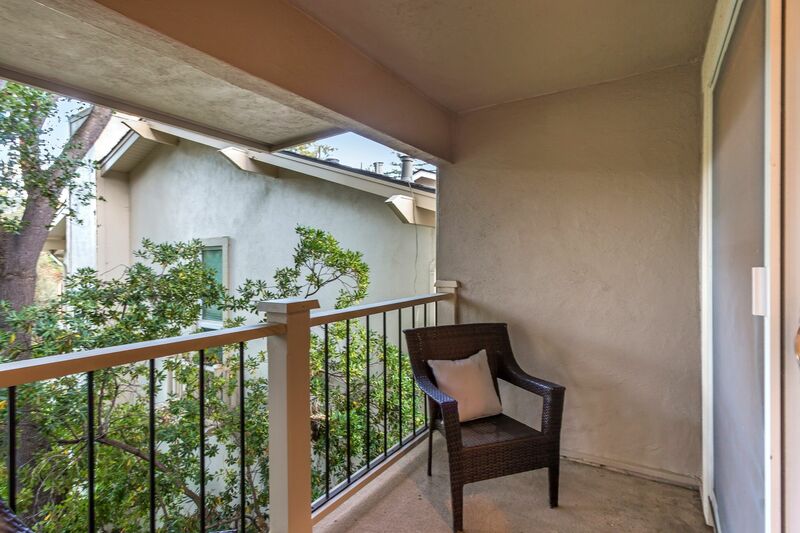 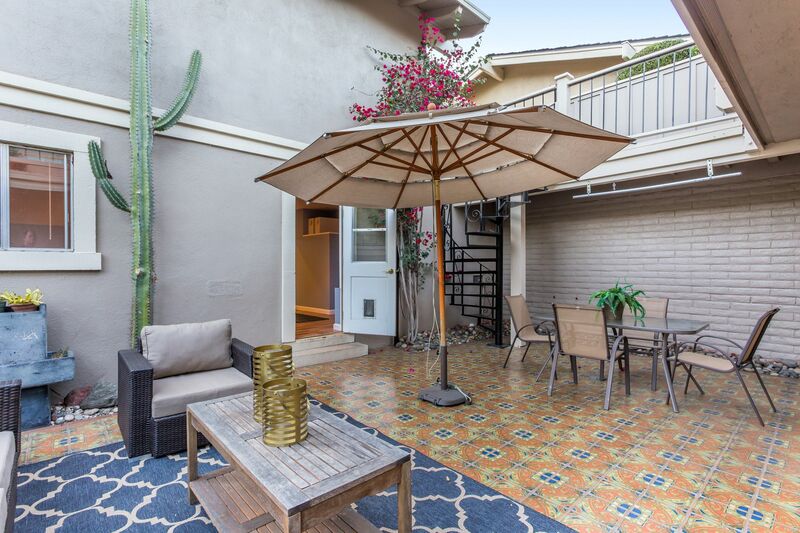 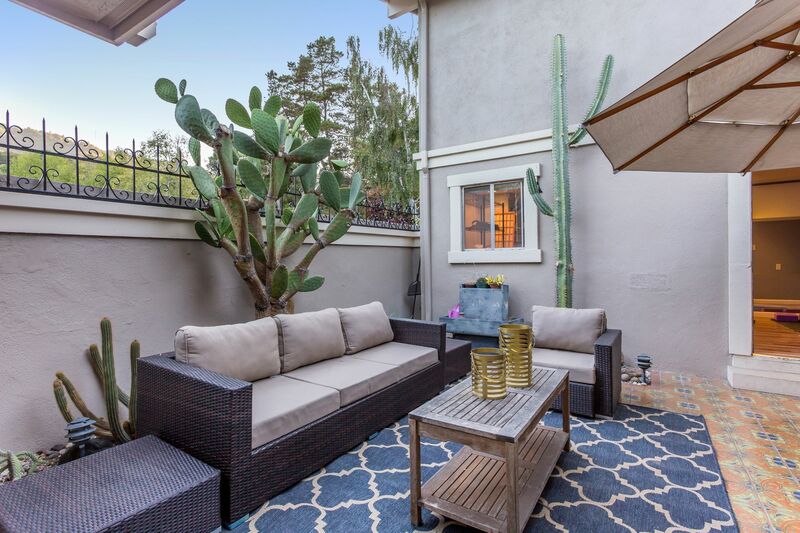 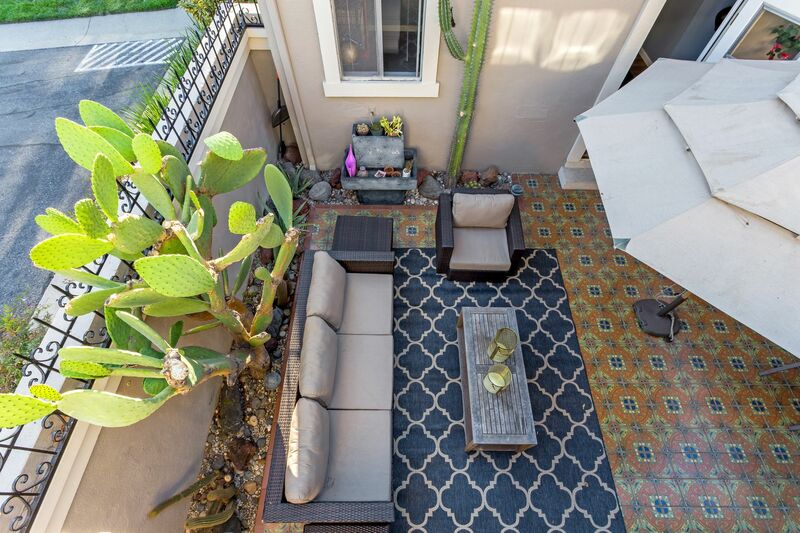 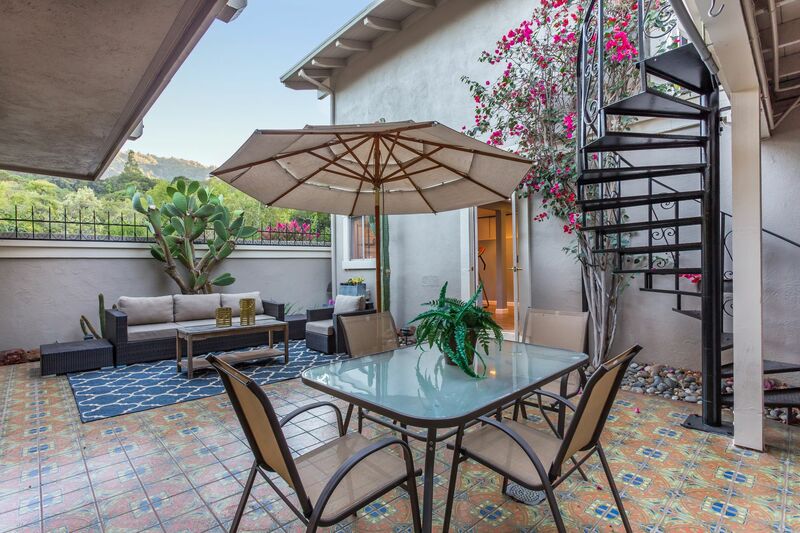 Oversized Enclosed Private Patio enjoy the Great Outdoors perfect for Entertaining Guests or Family Enjoyment. 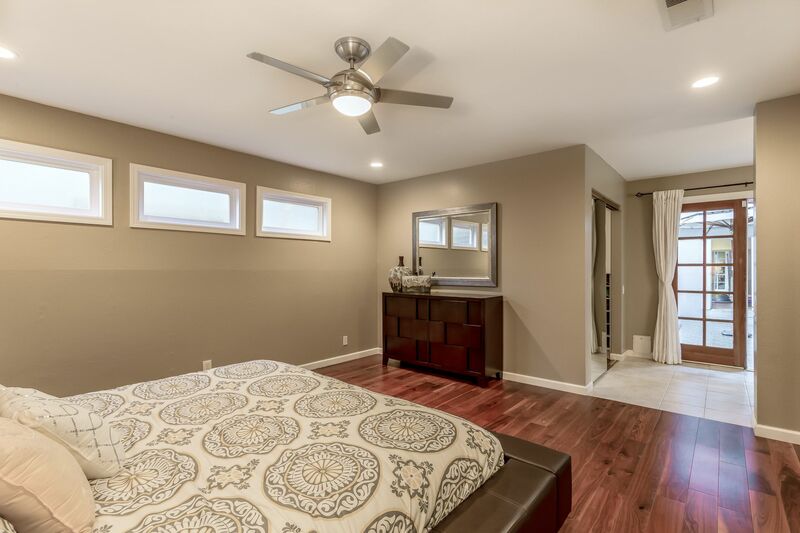 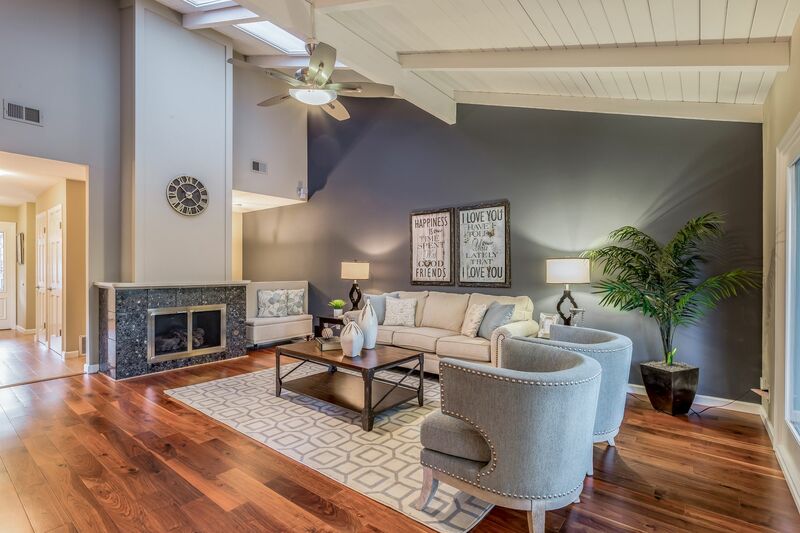 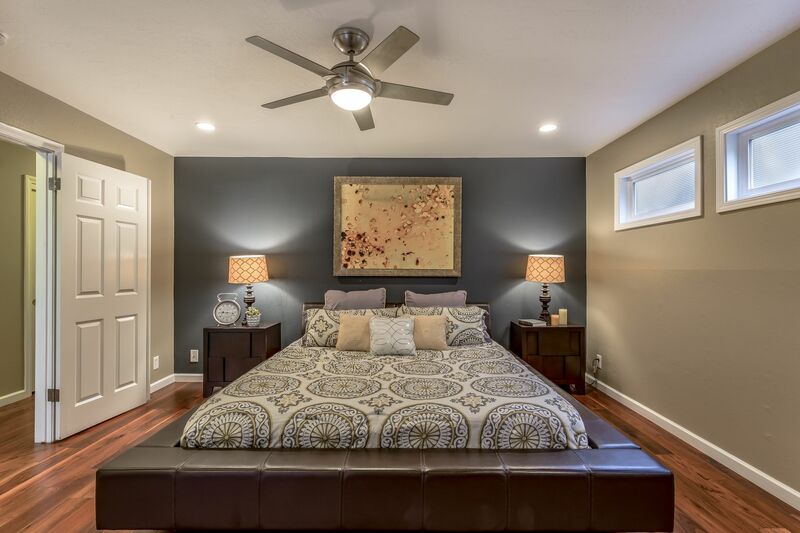 Move-in Ready Home with Hardwood Floors Throughout, New Two-Toned Paint, Elegantly Tiled Wet Areas with a Hardwood Floor Design. 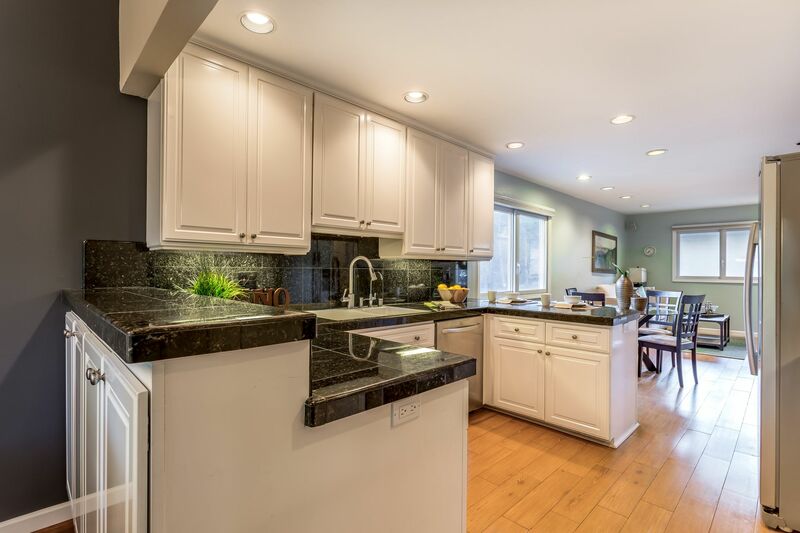 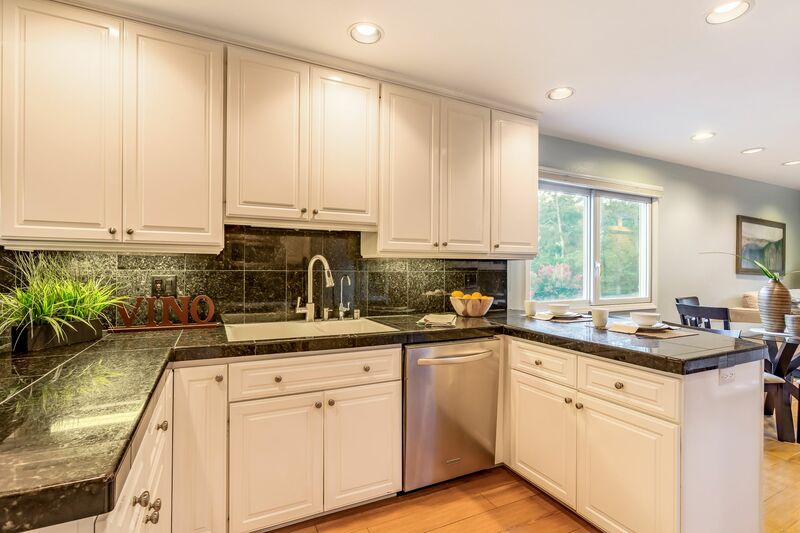 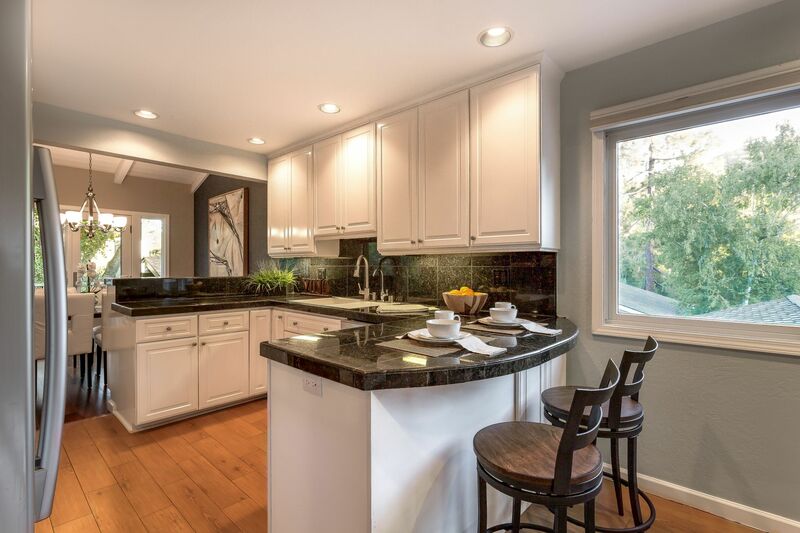 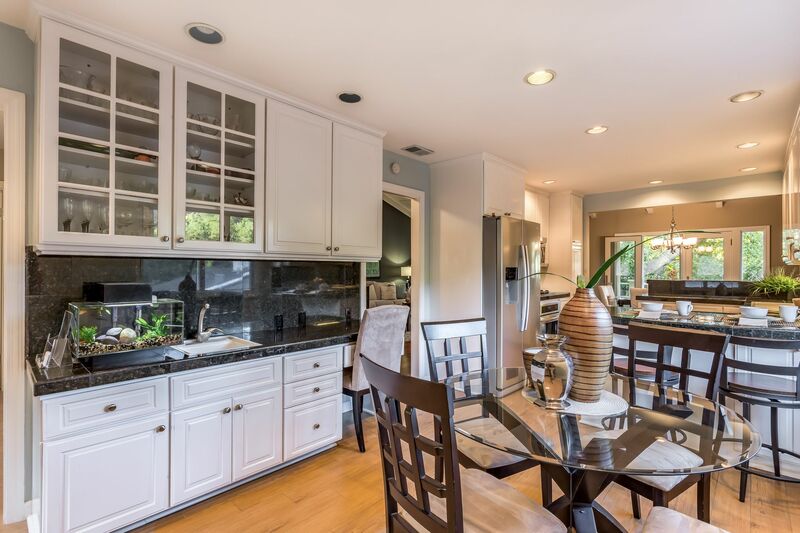 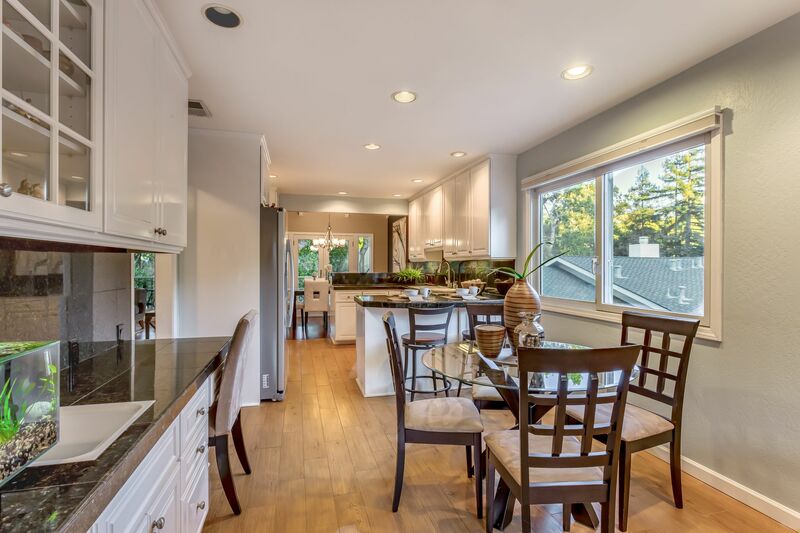 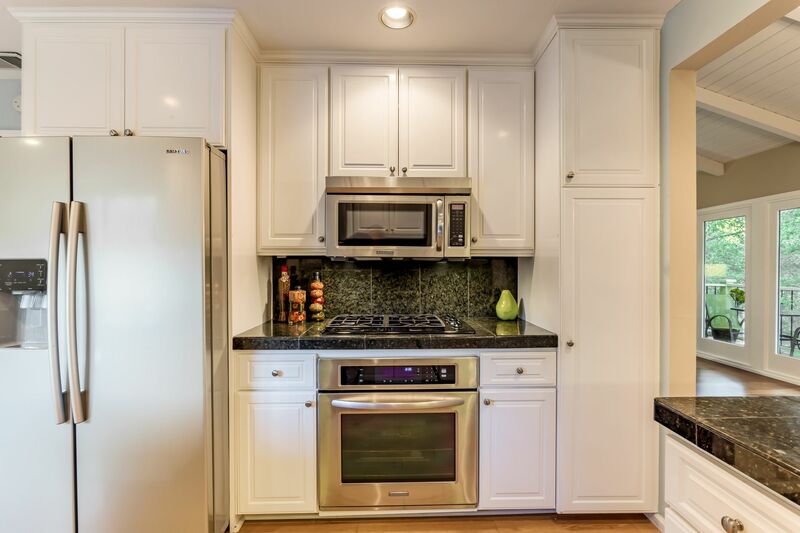 Kitchen Features Stainless Steel Appliances, coveted White Cabinets and Granite Tiled Countertops. 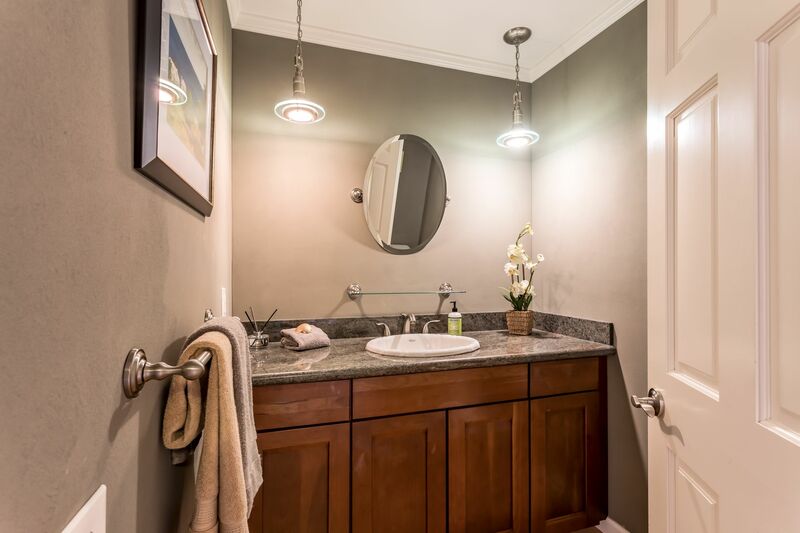 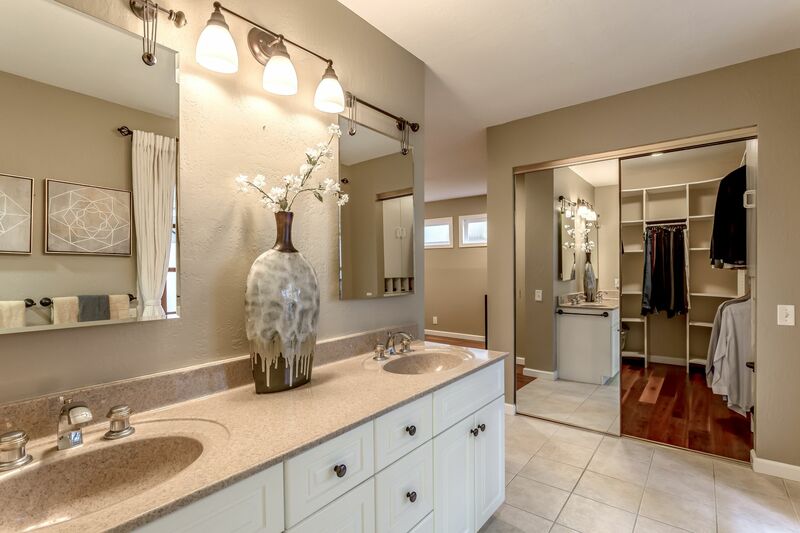 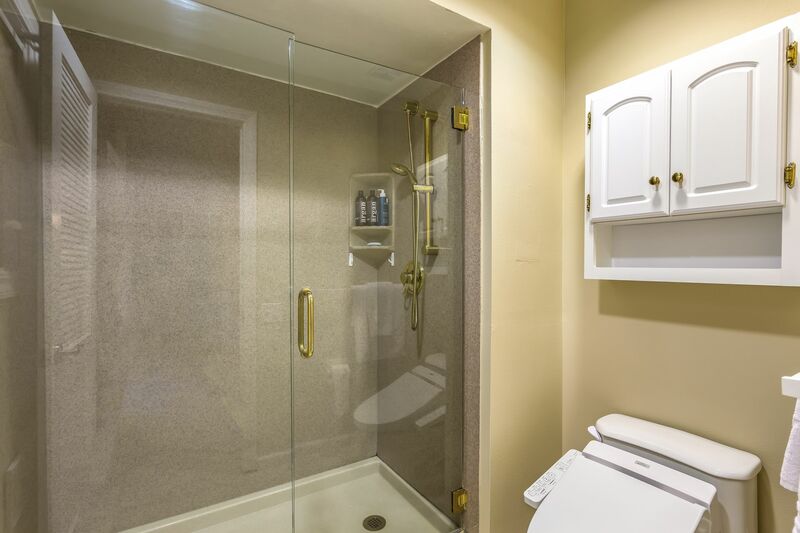 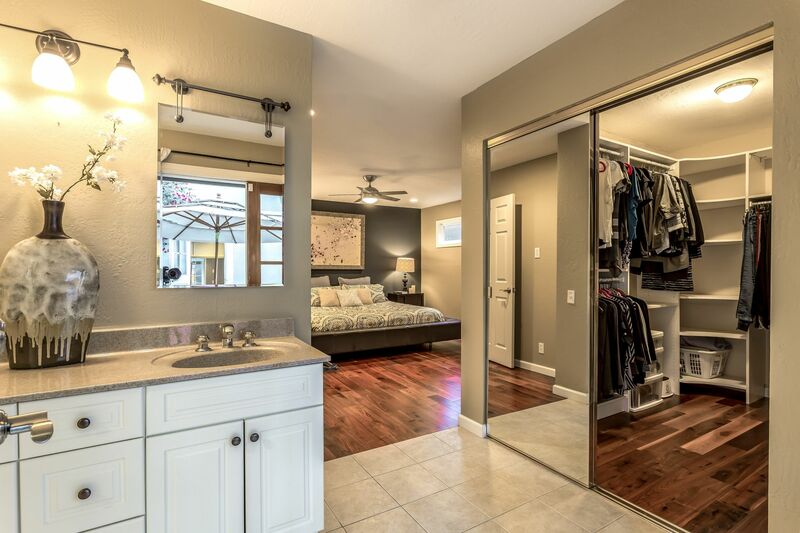 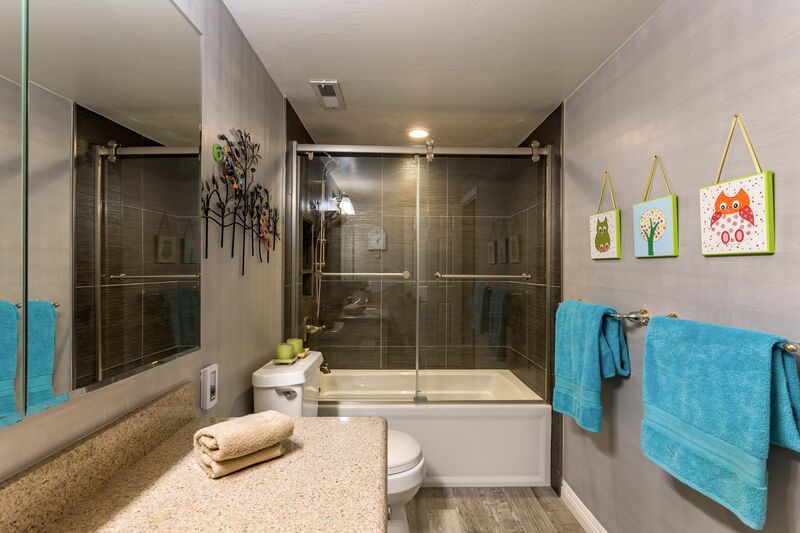 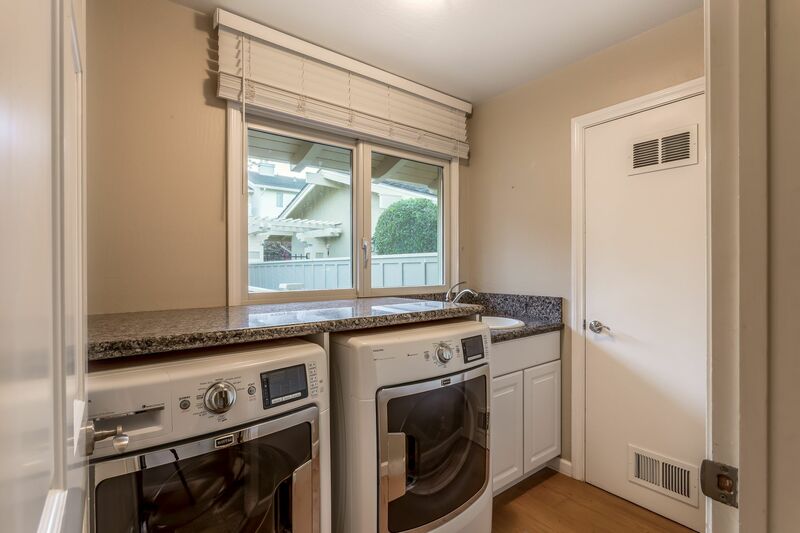 Updated Bathrooms also with White Cabinets, a mix of Granite, Porcelain Tile and Corian Upgrades Move-in Ready! 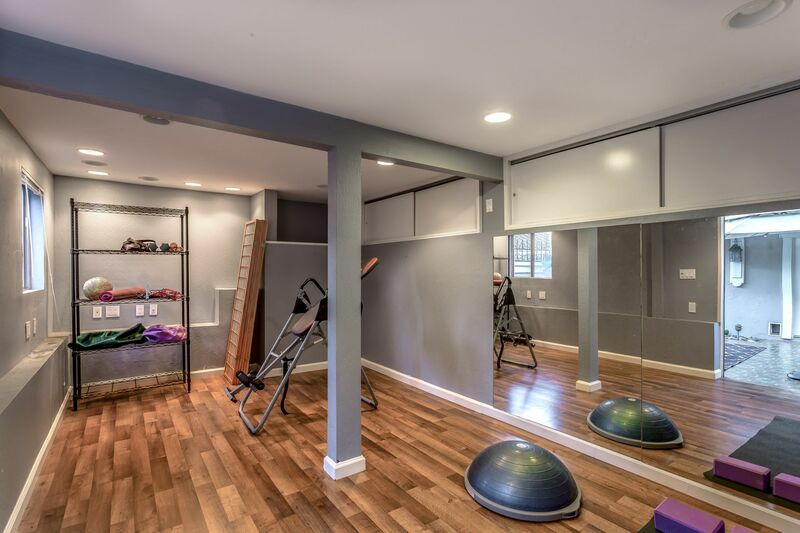 Additional Flex Room perfect as an Office, Den or Workout Room. 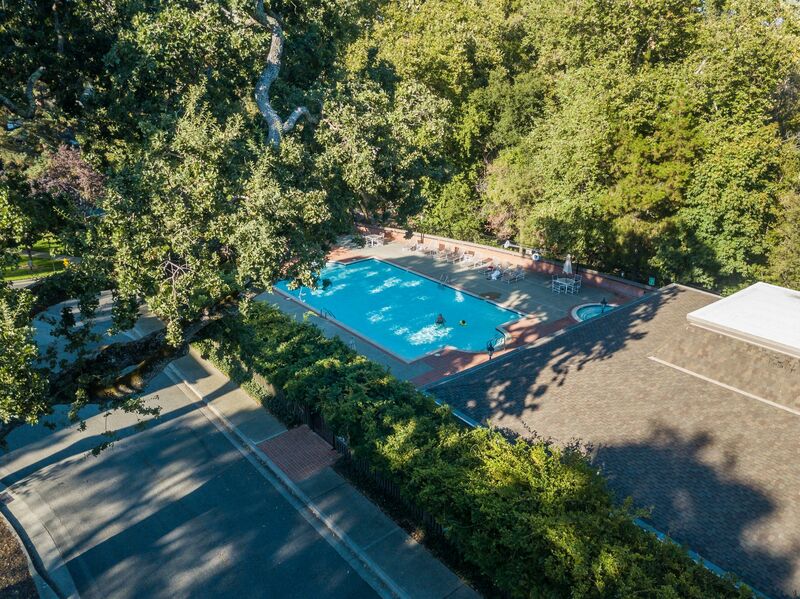 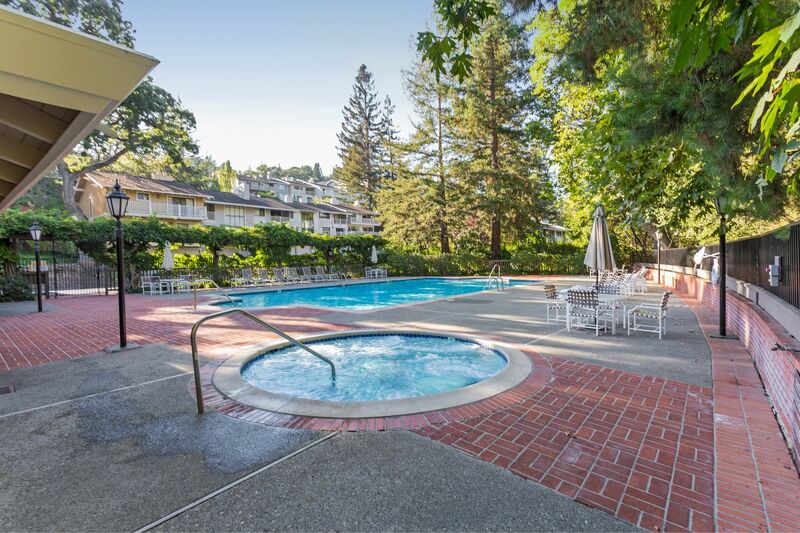 An abundance of Amenities: Swimming Pool, Jacuzzi, Clubhouse with Billiard and Ping Pong Tables. 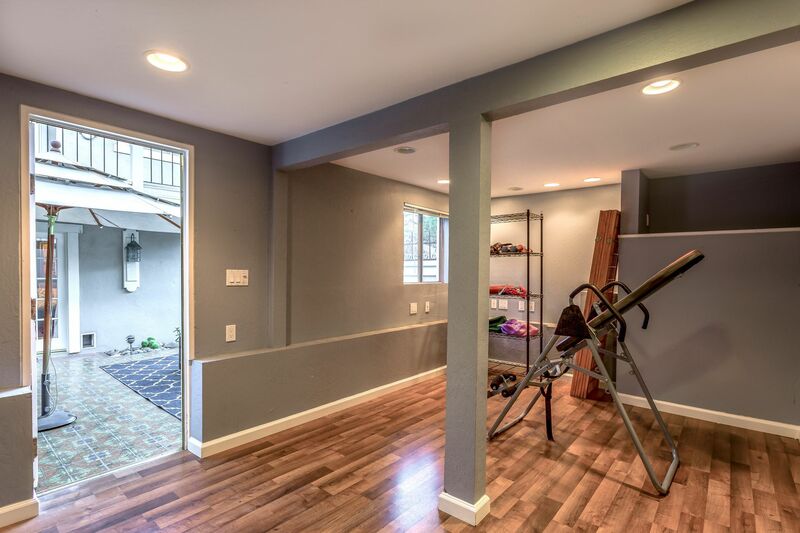 2-Car Garage with built in Electric Car Charger. 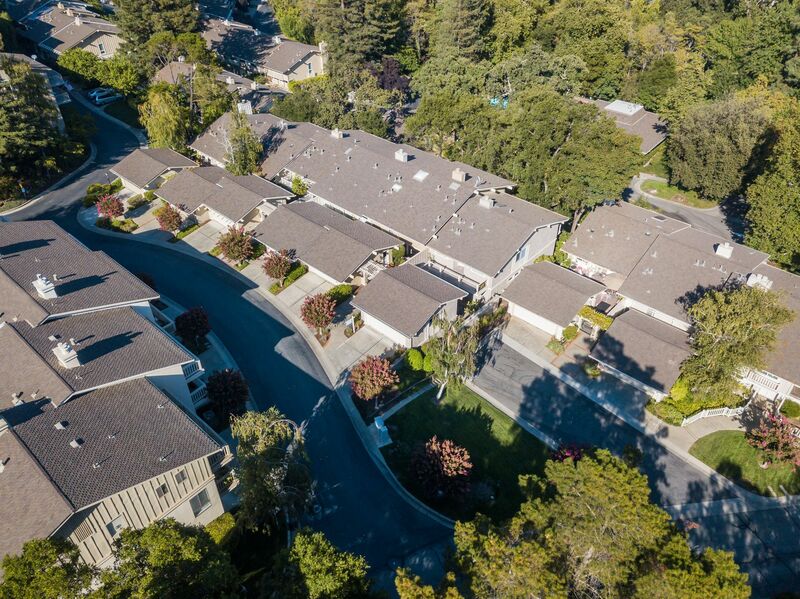 Excellent Schools; Saratoga Elementary, Redwood Middle and Saratoga High! 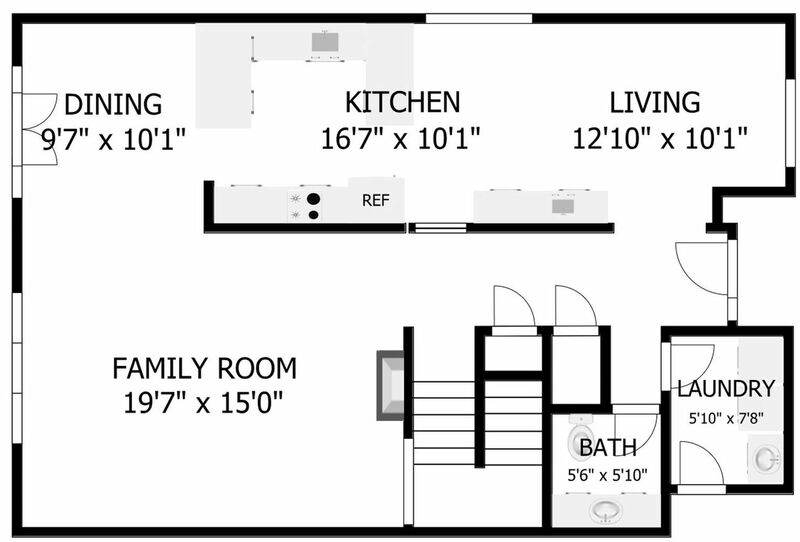 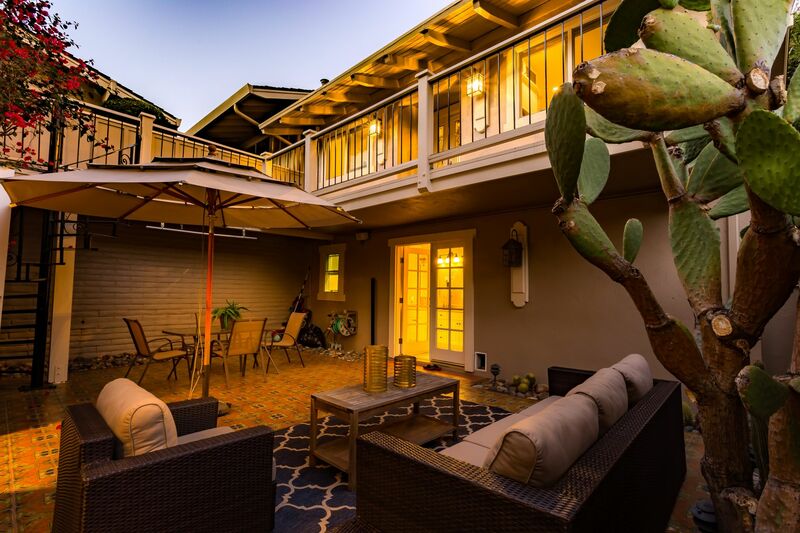 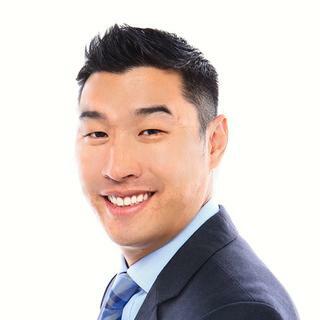 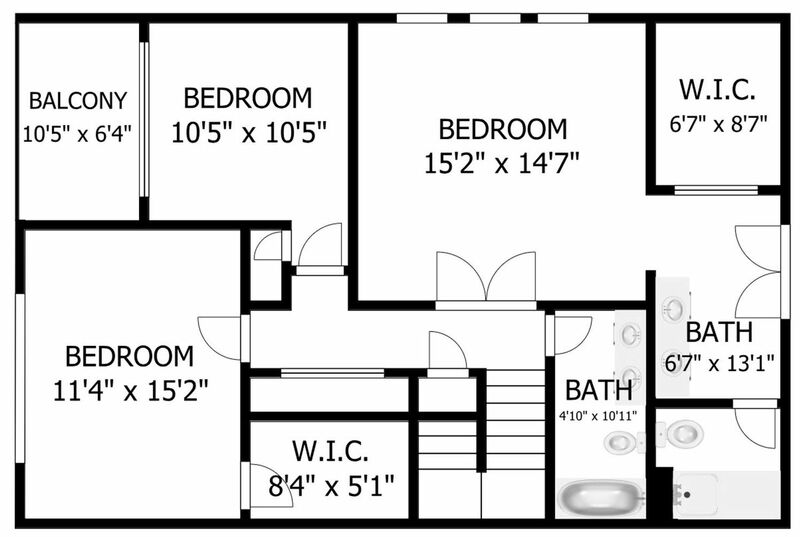 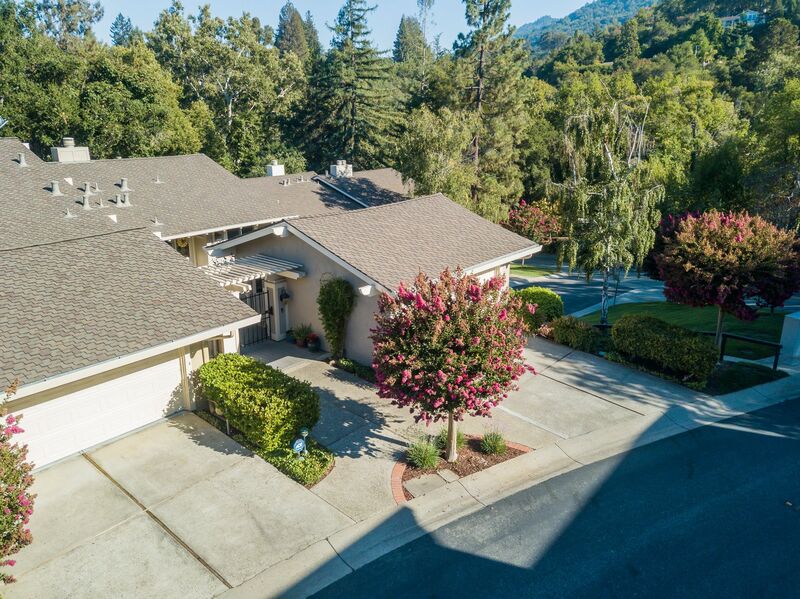 Unique Property that You Won't Want to Miss! 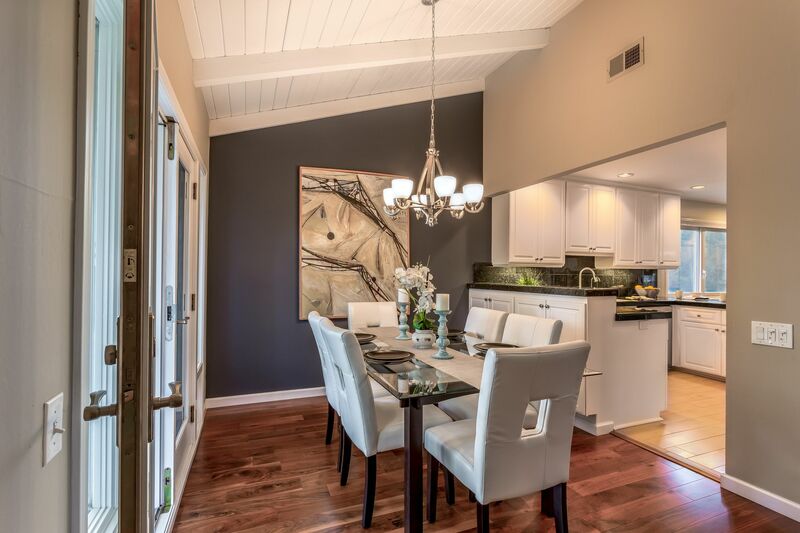 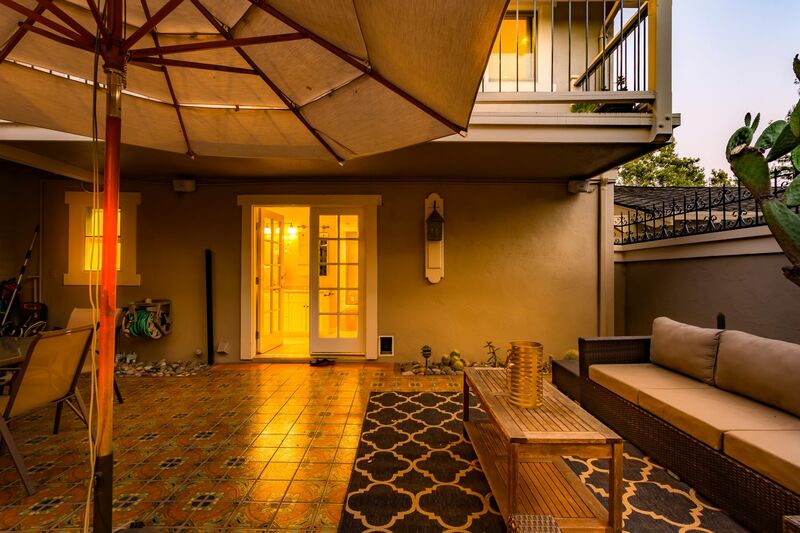 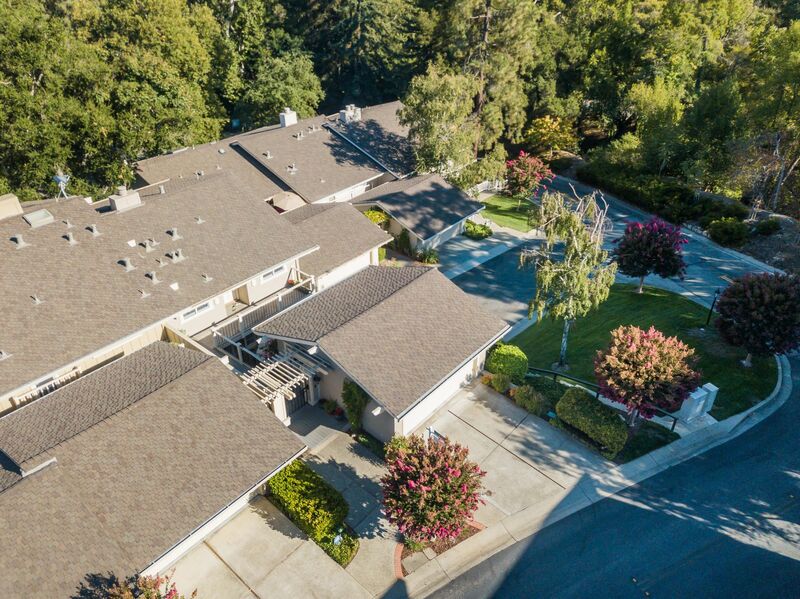 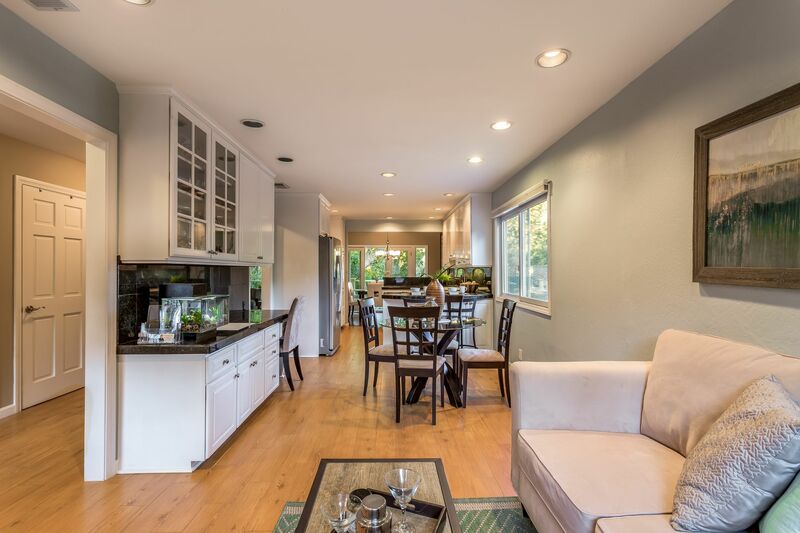 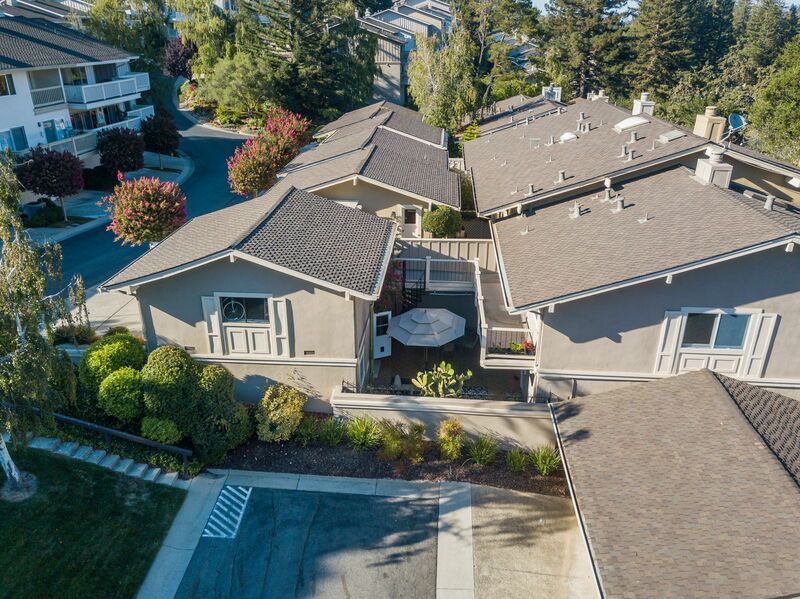 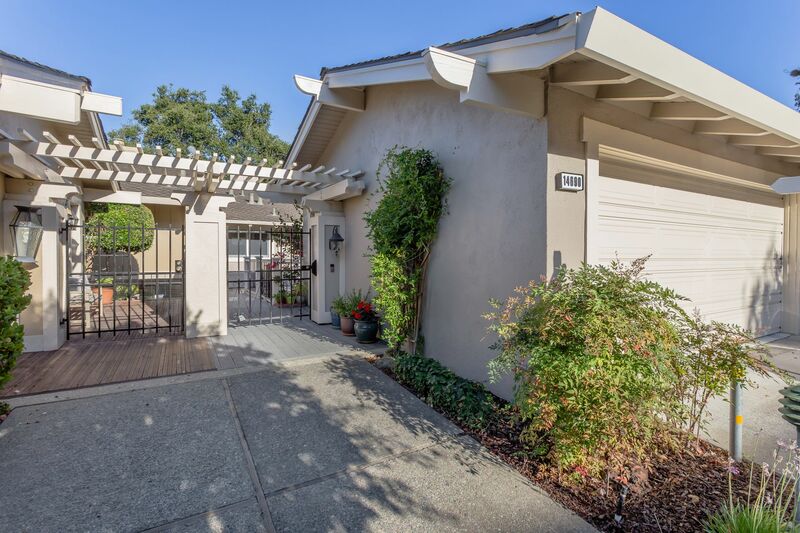 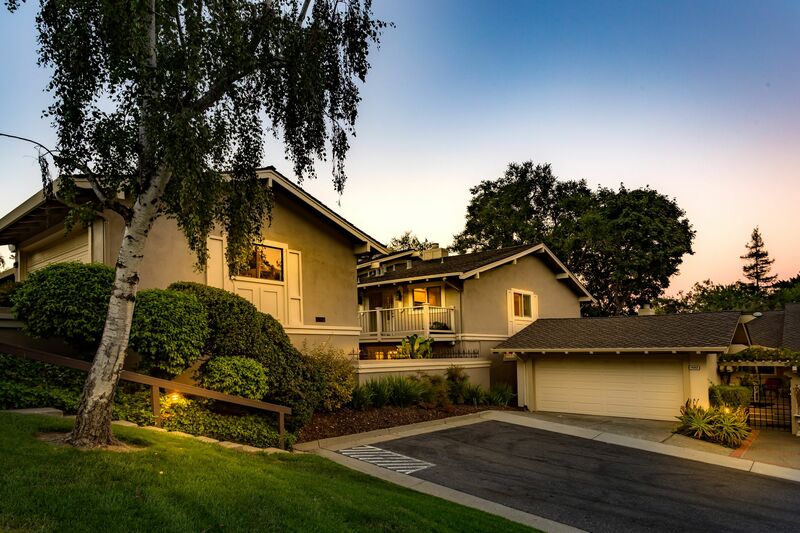 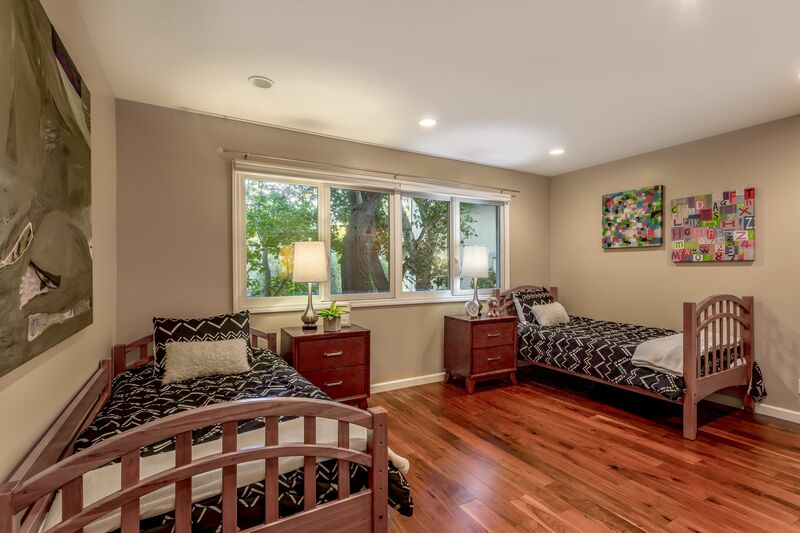 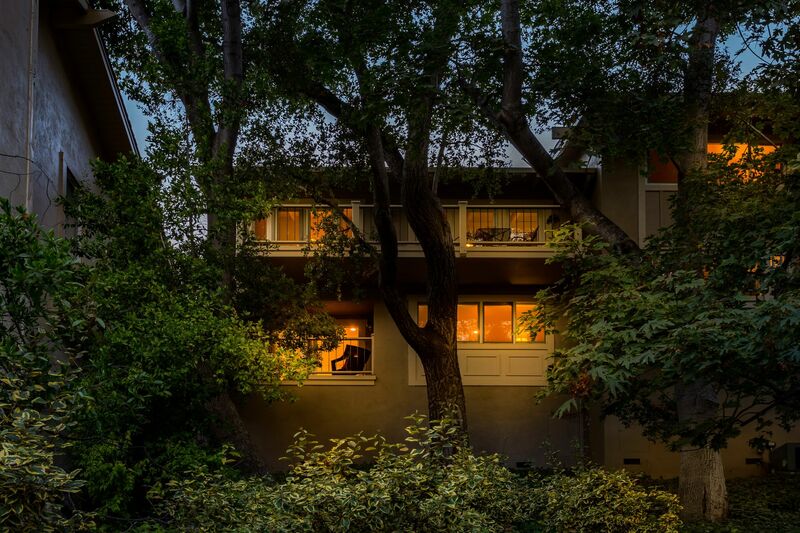 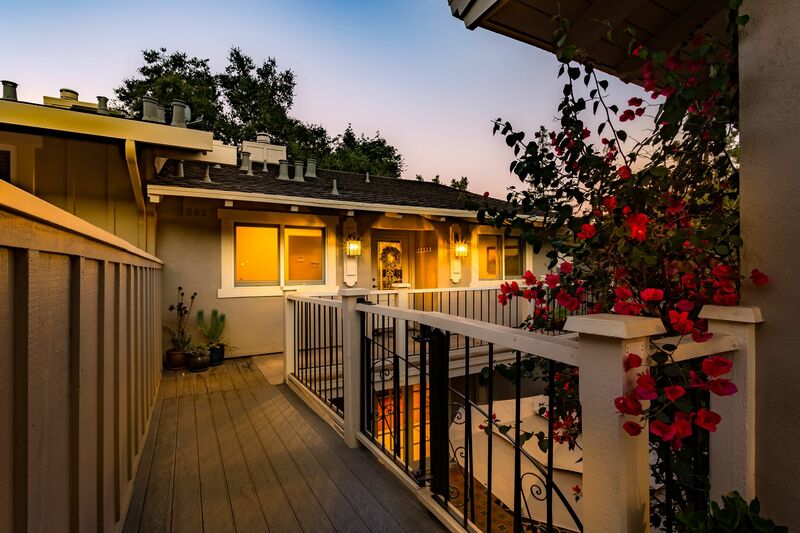 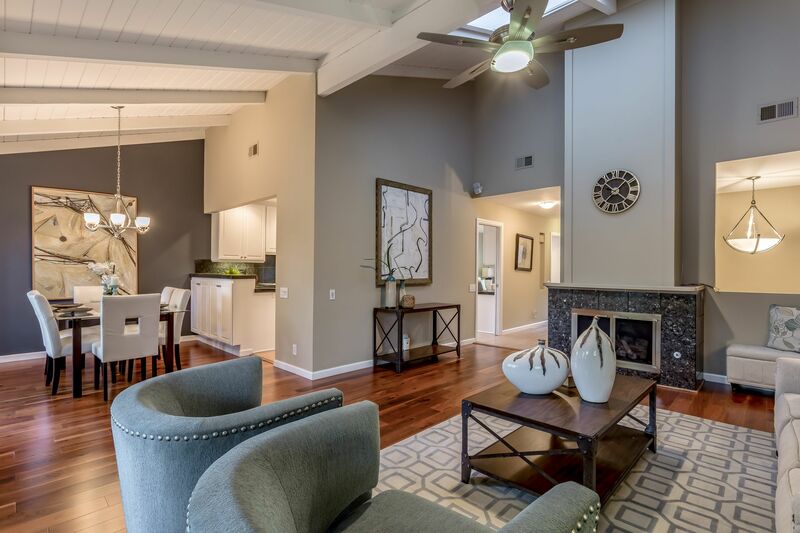 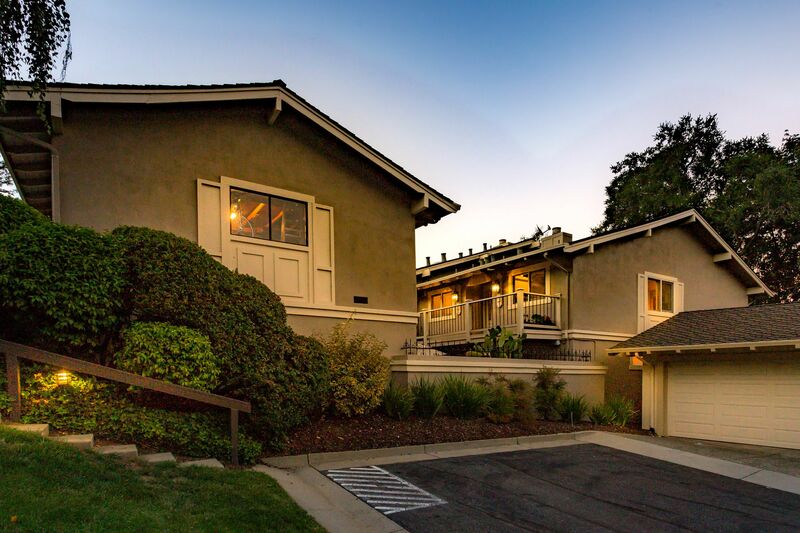 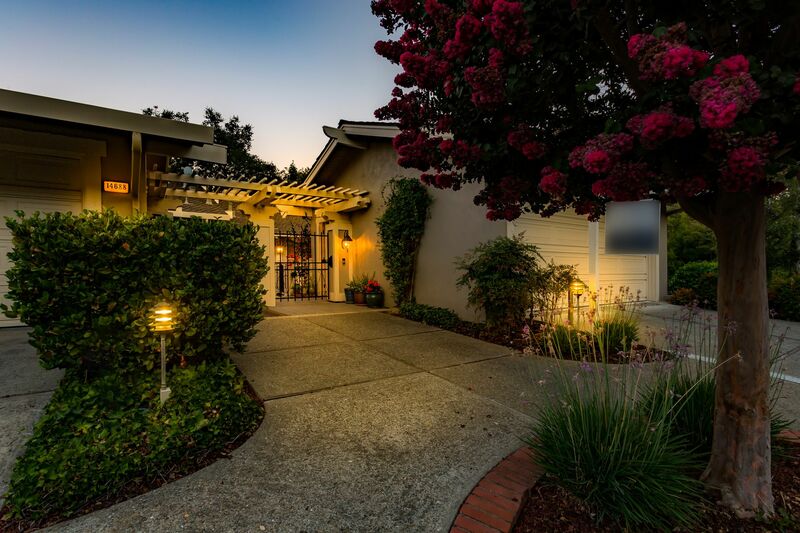 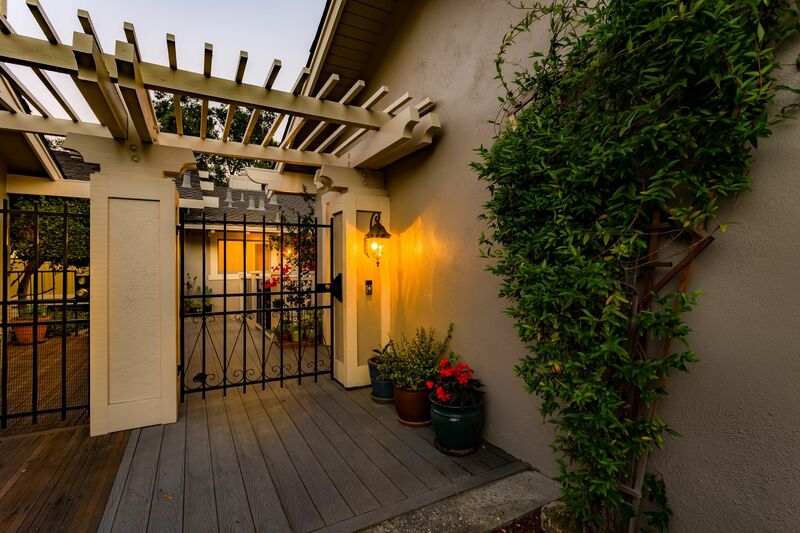 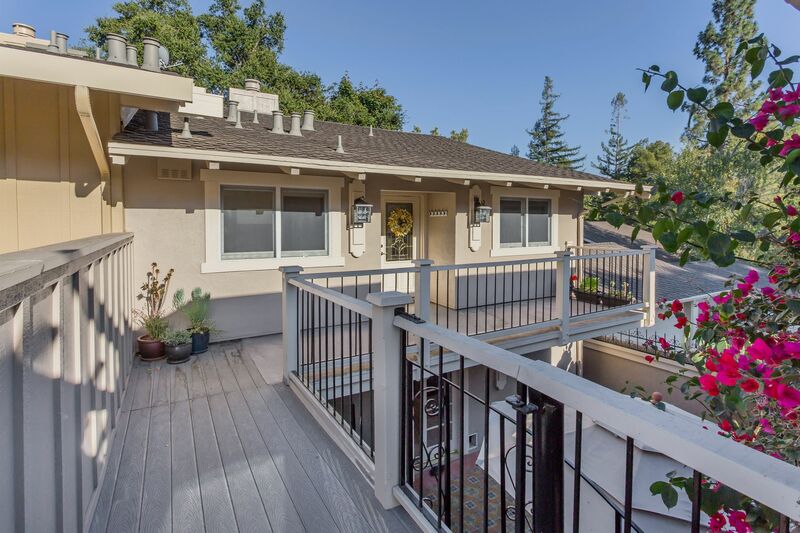 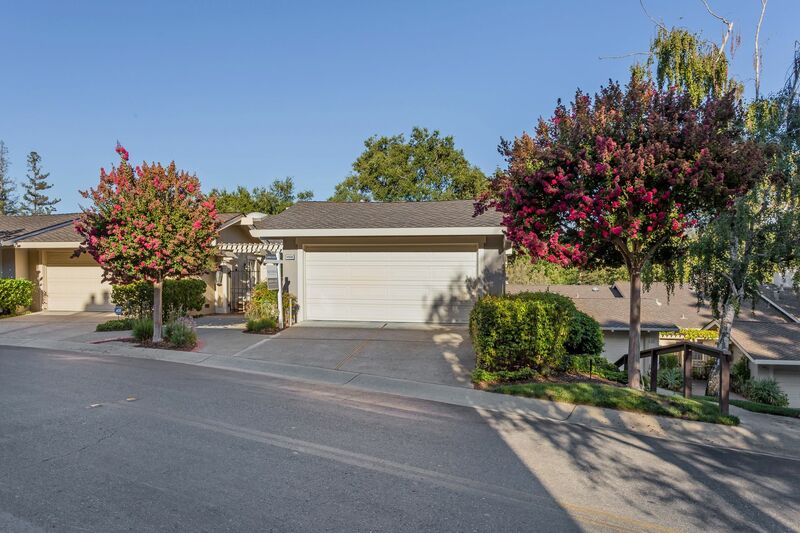 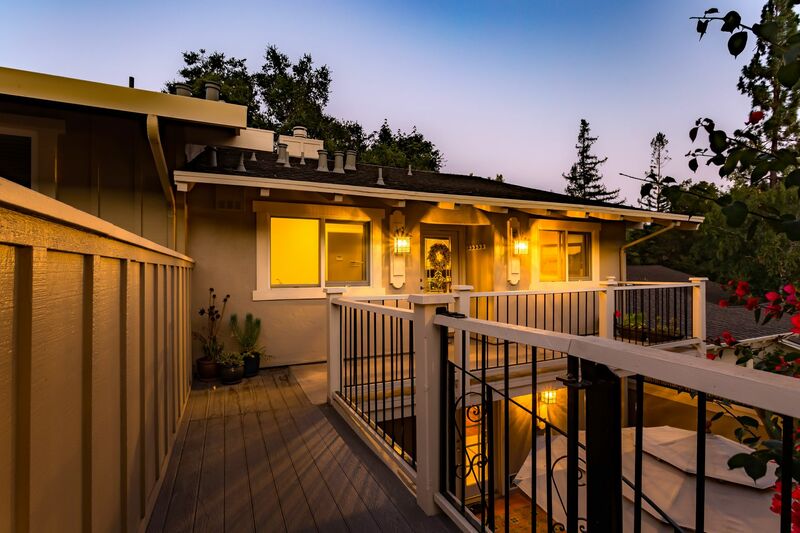 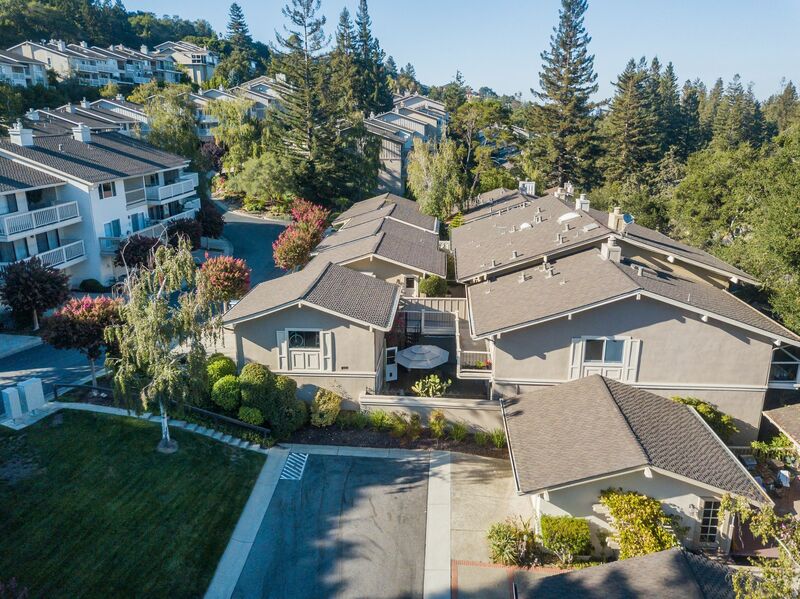 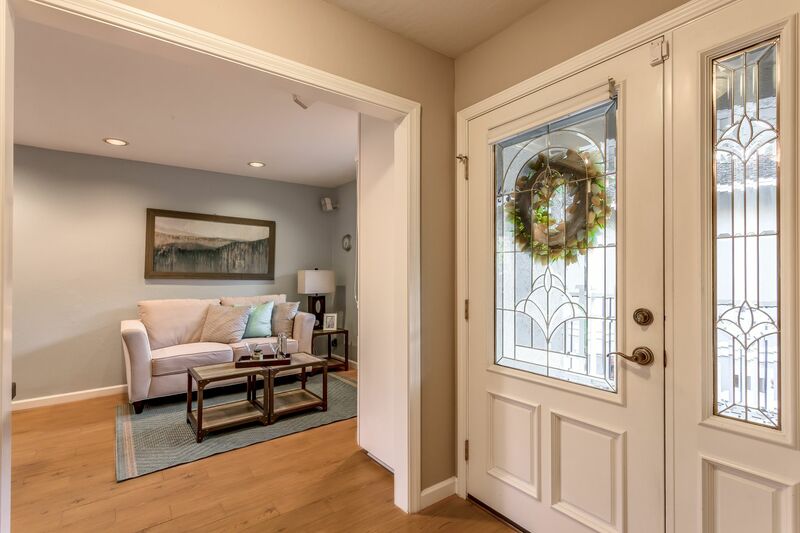 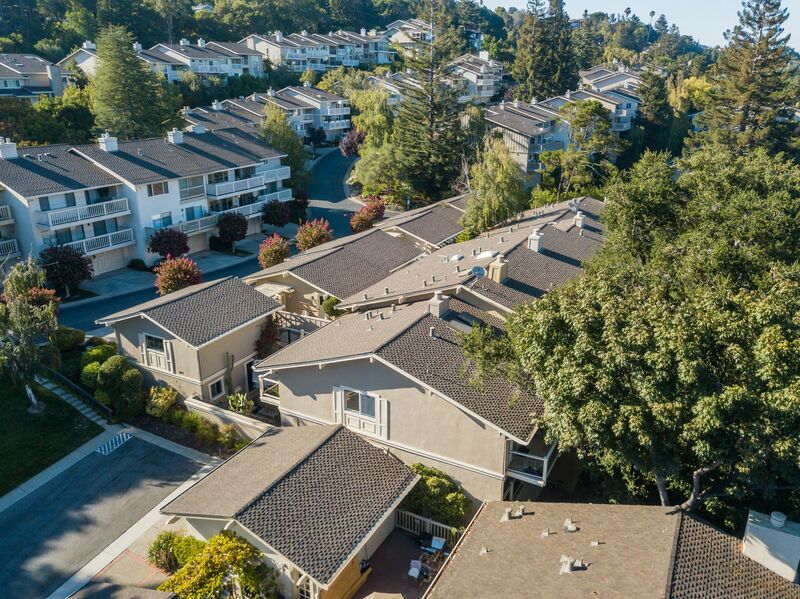 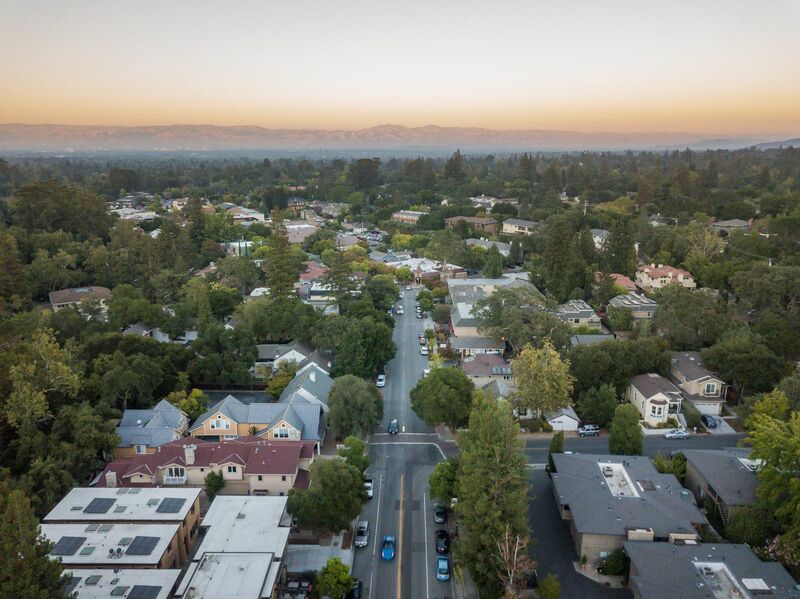 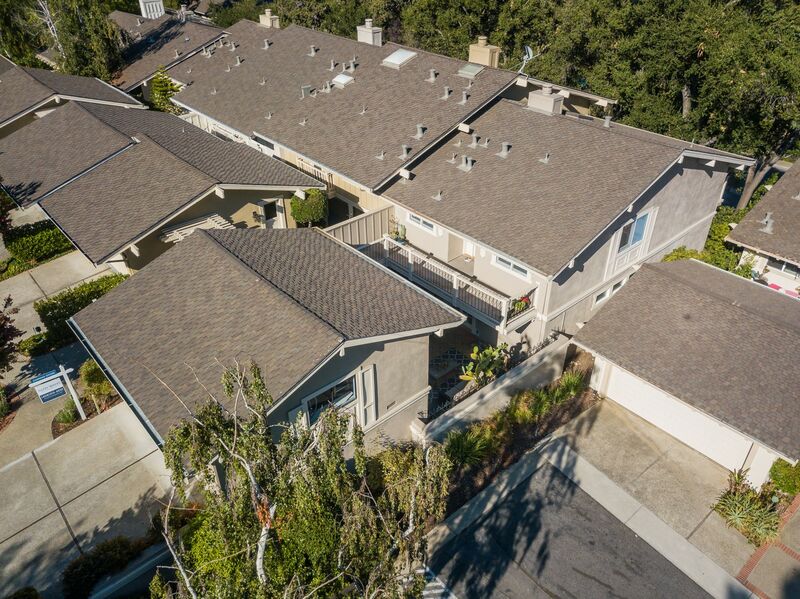 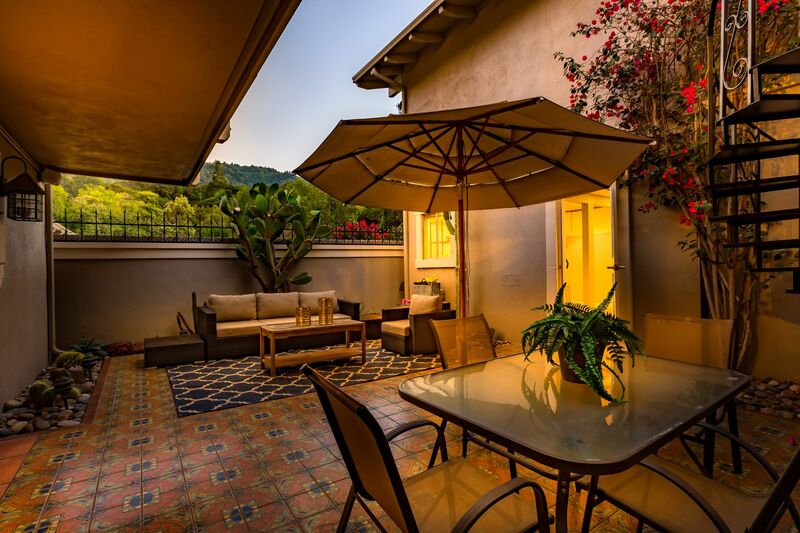 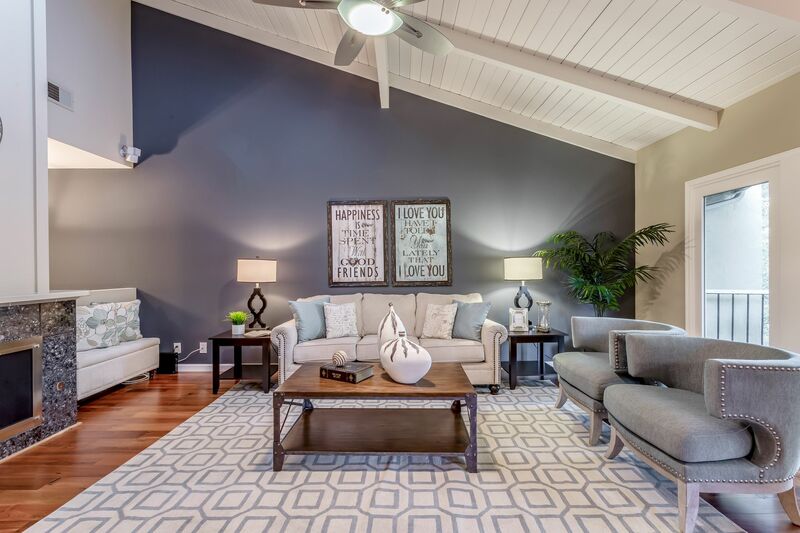 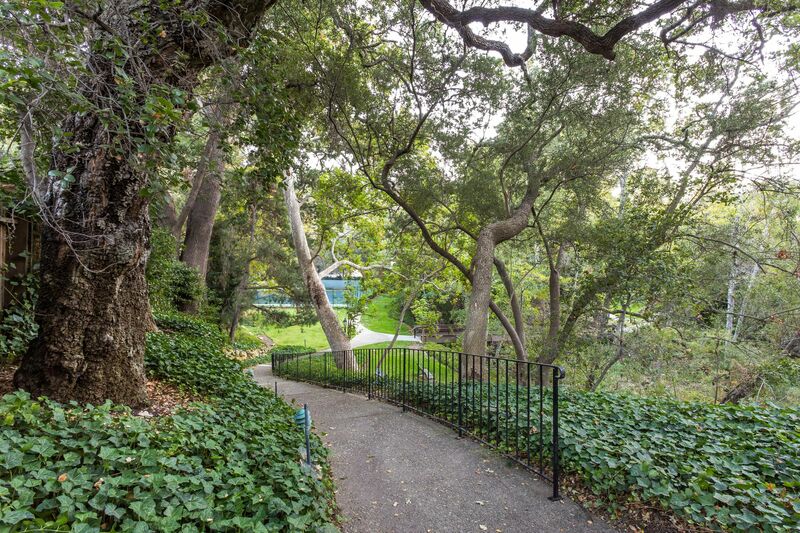 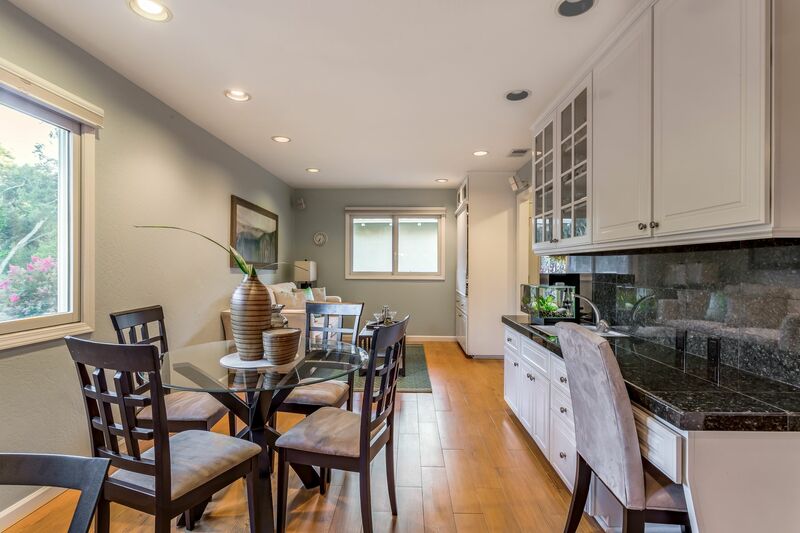 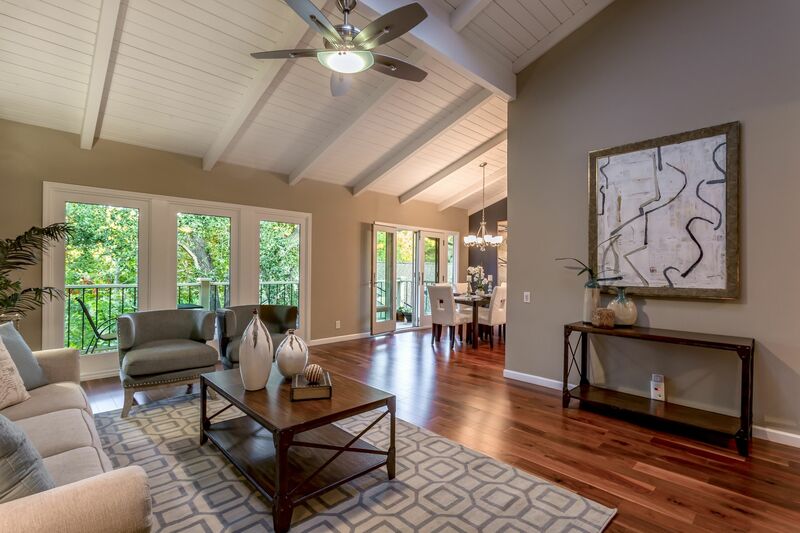 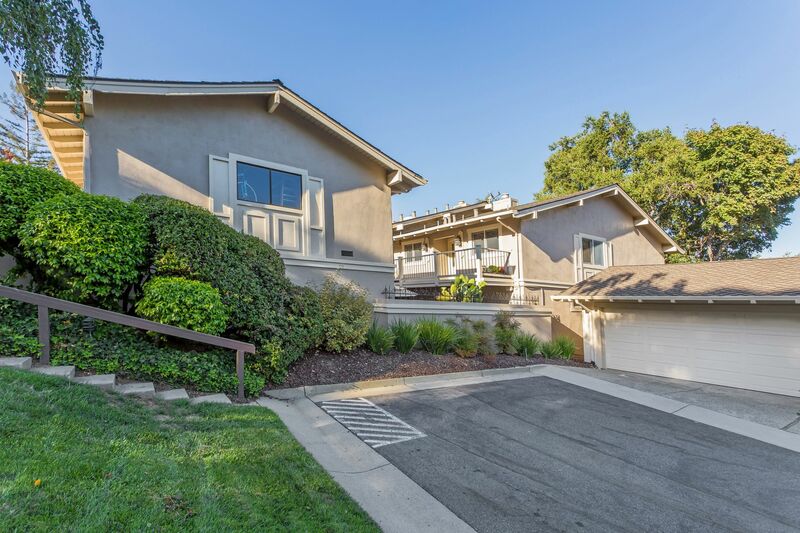 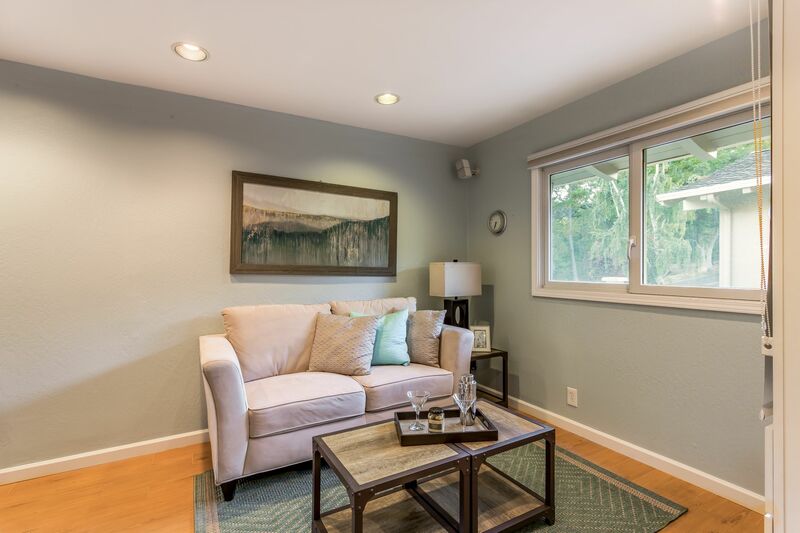 Walkable to Saratoga Elementary School, also Attends Redwood Middle and Saratoga High!